We celebrated the Boston Properties 25th Annual Building Lighting Ceremony at the San Francisco Embarcadero Center, presented by Hawaiian Airlines, at the Holiday Ice Rink at Embarcadero Center on November 18th, 2011. 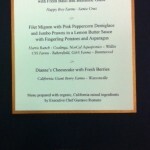 We worked with the Boston Properties team to create this custom Holiday Invitation for the big event! We created this Custom Holiday Invitation using a “Laser Cut” technique with our printers. The stock is shimmer silver. 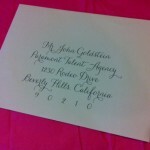 The inside of the invitation is white with charcoal ink. The result is Striking. 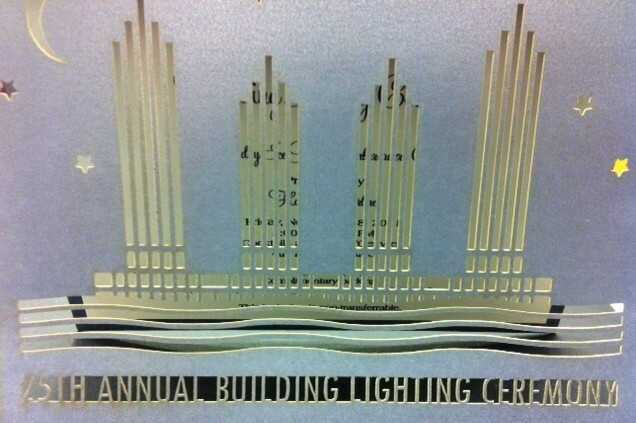 This high-end, custom, Holiday Business Invitation is an example of a unique & elegant invitation used to invite guests for the special event celebrating the Embarcadero Center’s 25th Annual Building Lighting Ceremony which starts off the Holiday Season here at the Embarcadero Center! In the above Holiday Business Card we’re showing the Laser Cut Invitation with a Gold Background! 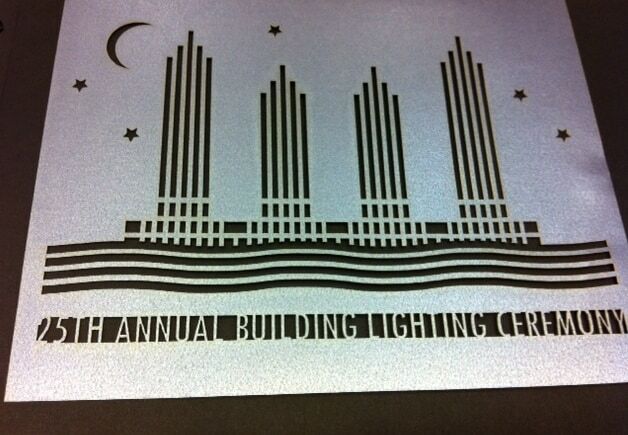 In the above example of the Business Holiday Card we used a black background to make the “laser-cut” building design more prominent. 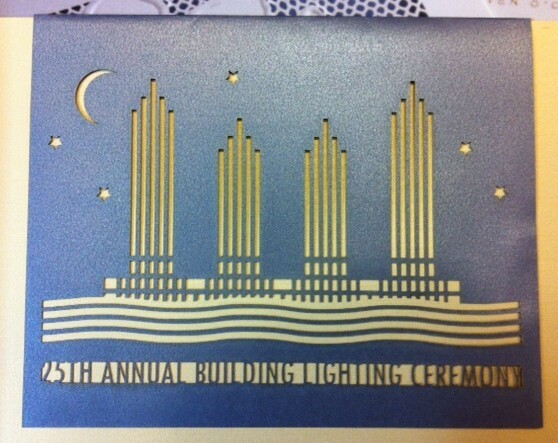 The image consists of the four Embarcadero Center Buildings with stars scattered in the background and the moon die-cut to accent the invitations.